The hottest day so far this year for Metro Manila was recorded a few days ago at 36.5 degrees Celsius according to the Philippine Atmospheric Geophysical and Astronomical Services Administration (PAGASA). They also told that it was even hotter in Cagayan province in northern Philippines where temperatures reached 37.9 degrees Celsius. From where I sit, which is at Central Luzon in Pampanga, the heat of this summer is really unbearable. Fortunately, I spend most of my time inside the office where air conditioning keeps the temperature in check. But I don’t have air conditioning at my apartment which can really be difficult when I sleep at night. I make use of my electric fan running all night long to lessen the heat. But in the near future, we could be seeing hot summer days in a very different way. I suspect we would appreciate the heat of the sun much more when we already have solar photovoltaic (PV) systems installed on our rooftops. Photovoltaics (PV) is a method to generate electricity by converting solar radiation into direct current electricity by employing solar panels which have cells containing a photovoltaic material. 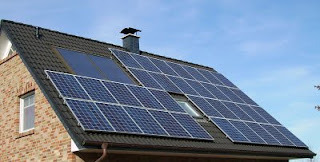 Residential houses typically have these systems with solar panels installed on rooftops. The adaption of solar PV may happen sooner than we might anticipate with the global demand for them surging year after year. Right now, the barrier remains the high upfront cost of installation. But this could change in the near future with advances in technology resulting to cost reductions for solar systems. 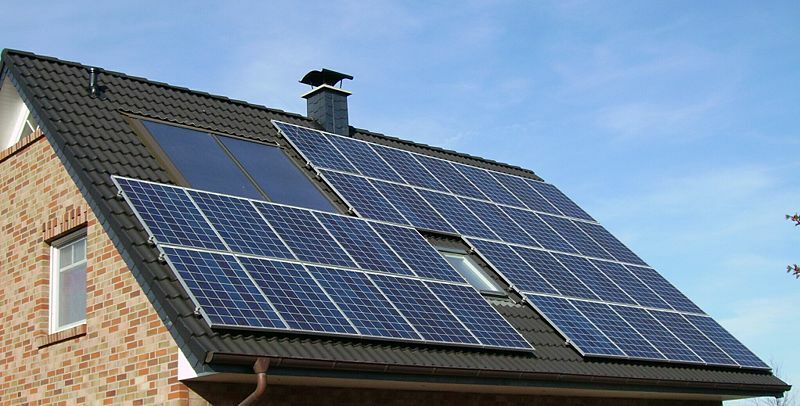 For many reasons, solar PV is a booming industry. Its explosive growth is said to be much like what the semiconductor industry experienced 30 years ago. We all know that traditional energy sources such as oil and gas will not last forever. The depletion of reserves will increase the price of fossil fuels while people are increasingly getting wary of environmental concerns due to their use. These factors will contribute to even more prevalent adaption of solar PV technology in producing electricity. The sun is estimated to be producing 1 trillion GWh of sunlight reaching the earth’s surface every year. This is 10,000 times the world’s primary energy demand which we can harness with solar PV systems in place. Although many countries around the world have started to implement the necessary changes in order to stimulate solar PV, the Philippines has a long way to go in order to get this going. For one, the cost of solar power through these systems has not achieved grid parity. This means that generating electricity using solar PV is not yet as cheap as grid power. There are significant improvements in terms of cost which could eventually lead to grid parity but we are not there yet. And so subsidies from the government are still required for this to become a viable option to generate electricity. There are large remote populations in the country without electricity who can benefit from these solar systems. But for solar PV systems to work, several things need to happen first. Although the Philippines now has the highest performance solar manufacturing capability, the PV market is still very small. In order to boost solar PV growth, the national government should provide subsidies for small off-grid systems, allow net metering and feed-in tariff for grid connected systems, develop infrastructure for grid connectivity, and enhance solar PV systems support. Most of these will require legislation that’s why a forward-looking congress and executive branch will have their work cut out for them to take full advantage of the solar PV surge in the years to come. For the month of August alone, 3 PV industry filed for bankruptcy in the US.